Despite a dispute over contract stipulations, the San Diego City Council’s Budget and Government Efficiency Committee advanced a proposal to have the San Diego Humane Society provide the city’s animal services. San Diego County has provided animal services to the city since 1971, but the Board of Supervisors notified the city last May that the county Department of Animal Services will not provide this service beginning July 1. So San Diego officials are rushing to figure out how to handle the city’s animal service needs. “The county is really disappointing us all — after 45 years just getting out of the business. We’re doing our best to pick up really big pieces here,” Councilman Chris Ward said. The city shelters about 18,000 animals per year, including impounded and surrendered animals. Animal services also include adoptions, field enforcement services, medical and veterinary services, as well as coordination of the city’s dog licensing program. The proposed San Diego Humane Society contract, which has an 18-month term, would divert $1.8 million from a shelter-related fund for start-up costs and nearly $11 million from the city’s general fund for ongoing costs. Projected ongoing costs are 4.2 percent higher than the current ongoing animal service budget, but are still lower than the $11.1 million projected budget included in the city’s Fiscal Year 2019-2023 Five-Year Financial Outlook. Last October, the city issued a Request for Information intended to gauge local interest in providing animal services for the city. The Humane Society was the sole respondent. City officials said they also reached out to other local organizations, but none were equipped to offer every animal service needed. The Humane Society has serviced the region since the 1880s. It currently operates shelters in San Diego, Oceanside and Escondido and, according to the organization, hasn’t euthanized a healthy or treatable animal since 2001. With an annual intake of 16,250 animals, it has a live release rate of 94 percent. The Humane Society has also provided services to the cities of Escondido, Imperial Beach, Oceanside, Poway, San Marcos and Vista; San Diego would become its largest municipal contract to date. 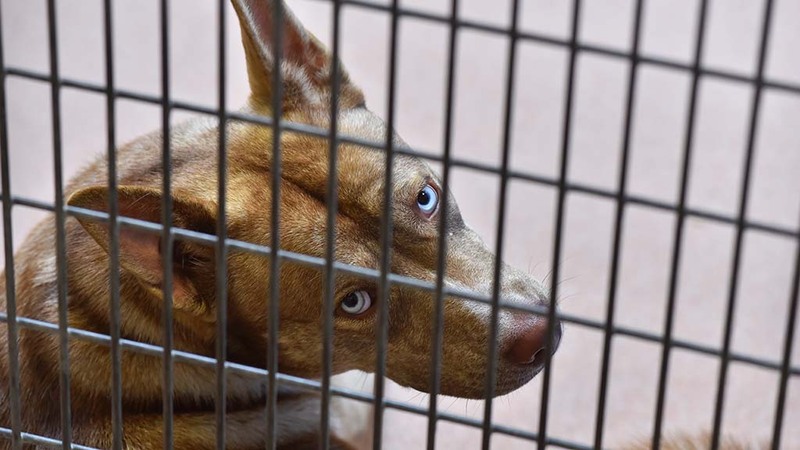 If the contract is approved by the full City Council, the Humane Society would enter a lease agreement to use the city-owned shelter in Linda Vista. Members of Service Employees Union International, Local 221, which represents some of the county’s animal services employees, requested during Thursday’s meeting that a “labor peace agreement” be considered for the city’s contract with the Humane Society. Such language in the municipal code would open the door for union representation among Humane Society employees if the society contracts with the city. Councilwoman Georgette Gomez supported exploring union-related language. “We urge the Humane Society to be more open-minded and take care of workers,” she said. The Humane Society recently uploaded listings for about 200 positions in anticipation of contracting with the city. Gary Weitzman, the Humane Society’s president and CEO, said county animal services employees have applied for some of the positions. He also said pay and benefits between the county and Humane Society are generally comparable, apart from county pensions. The committee voted to have the City Council discuss the contract April 30. In the meantime, the City Attorney’s Office will review the possibility of adding a labor peace agreement to the municipal code. Officials also will create a report comparing the city’s current contract with the county to the proposed Humane Society contract.